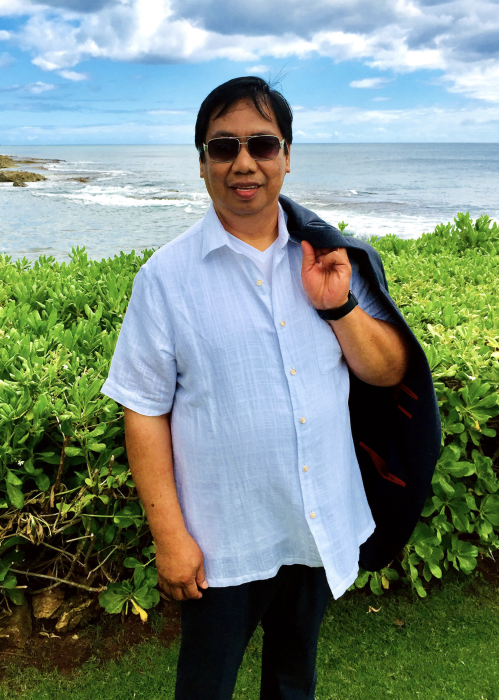 Renato Acierto Ruiz, lovingly also known as “Papa”, passed away peacefully surrounded by loved ones on Monday, January 28, 2019 at Kaiser Hospital in Redwood City at the age of 60. He was born on June 9, 1958 in Zambales, Philippines and was the third of five sons to Norberto Ancheta Ruiz, Sr. and Maria Acierto Ruiz. He graduated from University of the East in 1977 at Manila, Philippines with a Bachelor Science Degree in Business Administration. On May 24, 1981 he married Anita Sanchez Canido at San Isidro Parish Church in Pasay City, Philippines. Shortly after migrated to the California to start a family. Together they had three children. Renato was a loving, caring, humble, and generous man. He always would think about others before himself. He enjoyed life through simple pleasures; eating delicious foods, watching television with his loved ones, traveling, and spending lots of time with his family. He took pride in supporting, protecting and having a very close relationship with his family. He is survived by his beloved wife of 38 years, Anita; daughters, AnnaRhein (Jeffrey), Rosemarie (“Bicho”), son, Ryan (Jennifer); grandchildren Logan Ryley, Sophia Rae; brothers Jimmy, Joe and Jeffrey; sister, Linette, and many cousins, nieces and nephews. Services will be held on Tuesday, February 5, 2019 from 11:00 am through 8:00pm at Santos Robinson Mortuary in San Leandro, California. “For if we live, we live to the Lord, and if we die, we die to the Lord. So then, whether we live or whether we die, we are the Lord’s.” –Romans 14:8. “For God so loved the world that he gave his one and only Son, that whoever believes in him shall not perish but have eternal life.”—John 3:16.